These brief but powerful courses offer us information and learning opportunities. Take advantage of these experts in their fields of competence. You will get benefits from your time investment on yourself! It’s like going back to school. There are courses on just about any topic I’m interested in. 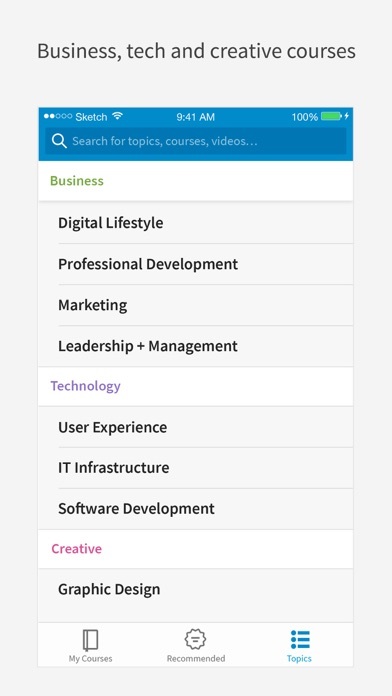 The recommendations are well suited to my current career path and the content is easy to fit into my day with small bytes of learning I can do between meetings or whenever I find a few minutes. I only wish the program wouldn’t keep logging me out of my organization’s account so I could continue watching videos without getting the premium package pitch. The rest is great. I watch their videos every morning. They’re very informative and beneficial to improve my skill sets. This resource has utterly reshaped my entire career trajectory. It has empowered me to go after the things I want and the things I want to bring to my professional teams. There is no price tag that would ever adequately represent the value, growth, and opportunity that is available in this library of courses. I am profoundly grateful it exists. 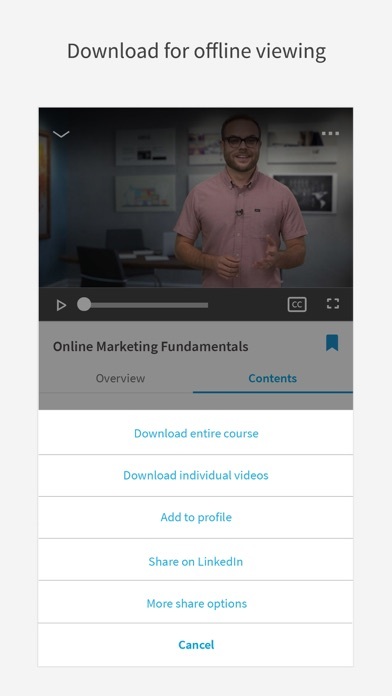 Now that LinkedIn has acquired Lynda.com the user interface before you sign is a mess because they force you to link a LinkedIn account even if you don’t have one. I JUST WANT TO LEARN enough with all this social media BS Furthermore, they do not have an Apple TV app like Lynda.com does. This means I used to be able to watch videos on my TV as easy as Netflix and now I can’t and there is no indication of one being developed as LinkedIn acquired this company several years ago. They say all good things must come to an end. 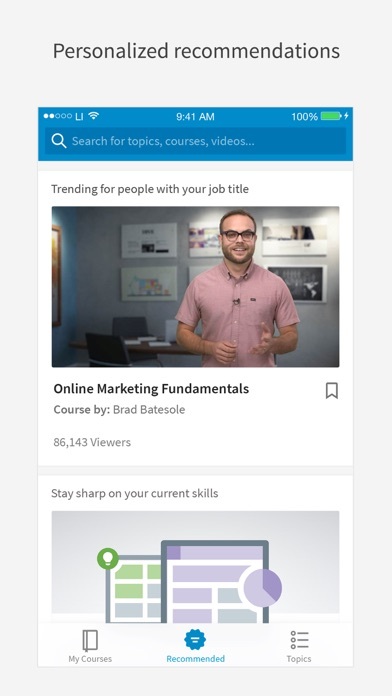 It’s amazing all the learning materials that have on the LinkedIn learning app. I sit almost everyday finding new materials that helps me in the workplace and for my personal growth. I find that when the app loads properly it works well. The issue I’m finding is that it doesn’t load all the time. Sometimes my home screen is blank or I get a cannot load error message. 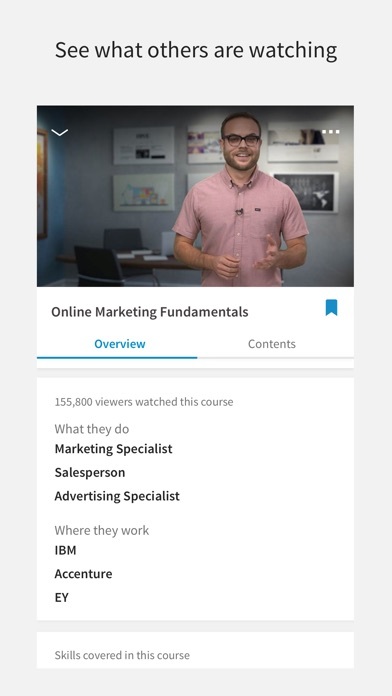 Compare to Udemy, it's way too expensive. $29 a month subscription? 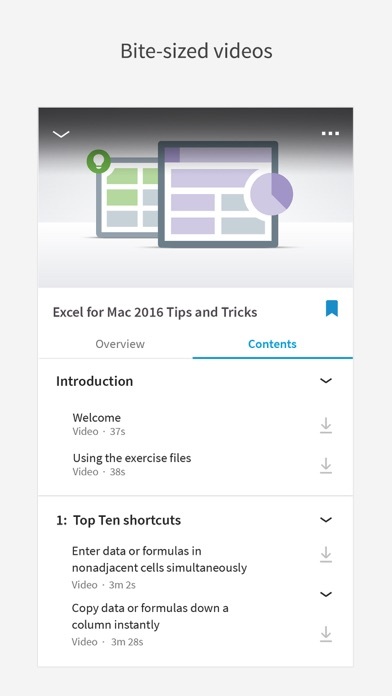 Forget this app and try Udemy. Great learning tool for business-casual people looking for additional avenues of improvement. Sometimes a bit redundant & slow but variety makes up for it.